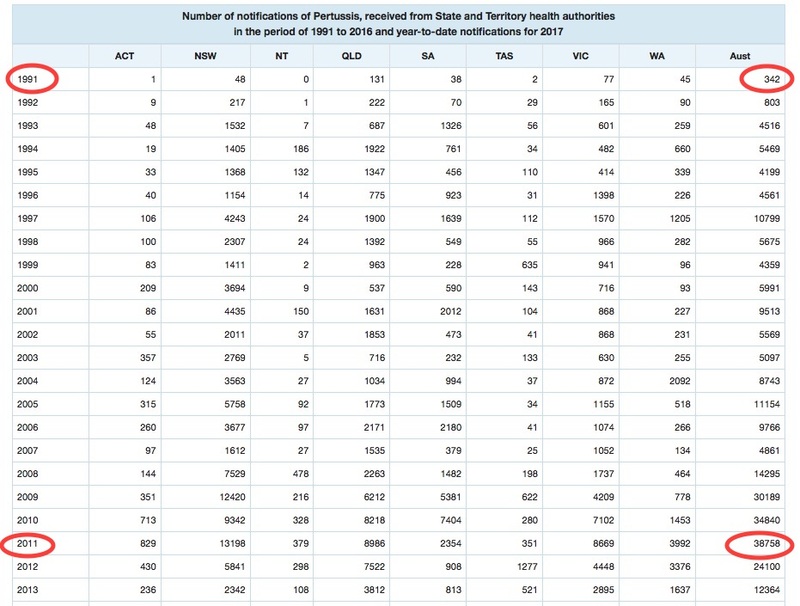 In 1991, around 70% of Australian children were fully vaccinated and there were only 347 cases of Whooping Cough, while in 2011 with over 90% of children vaccinated, we had 38,758 cases. How can the unvaccinated be blamed for this disease spreading? 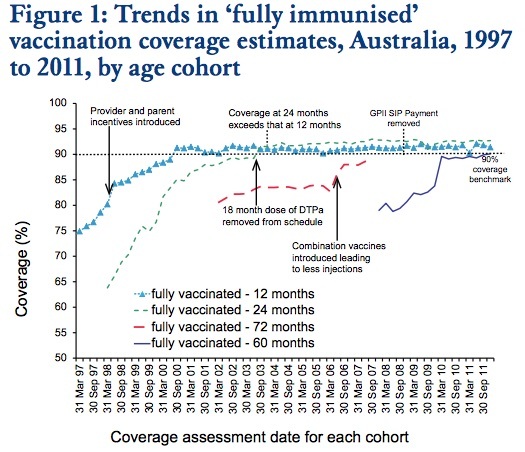 The government has no right to insist our children should be vaccinated—we can see that from these figures the vaccine does not protect the community against whooping cough.